Can’t You Hear It, Talia? Can’t You Hear the Waves Singing? 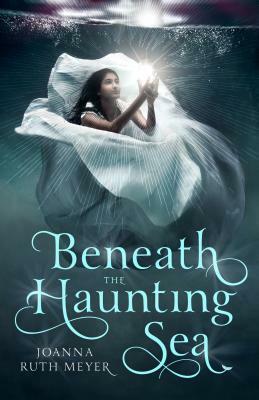 It is here, in the drafty halls of the Ruen Dahr,that Talia discovers family secrets, a melancholy boy with a troubling vision of her future, and a relic that holds the power of an ancient Star. On these shores, the eerie melody of the sea is stronger than ever, revealing long forgotten tales of the Goddess Rahn. The more dark truths that Talia unravels about the gods’ history—and her own—the more the waves call to her, and it's her destiny to answer. JOANNA RUTH MEYER lives with her dear husband and son in Mesa, Arizona, where it never rains (or at least not often enough for her!). When she’s not writing, she can be found teaching piano lessons, drinking copious amounts of tea, reading thick books, and dreaming of winter.Visit her at joannaruthmeyer.com, and follow her on Twitter @gamwyn.